Koi is the domesticated coloured form of the wild common carp (Cyprinus carpio), native fish of the slow-moving waters of Eurasia and the Middle East. Although it is the national fish of Japan, it is thought that the fish was originally introduced to Japan from the land around Iran. "KOI" it name are from the translated of Japanese words into English, it is possible for words to be spelled in two ways. In may cases "KOI" is called "GOI", either is correct the Japanese refer to carp as "goi" or "koi" and nishike means coloured, so another popular name is nishiki-goi (Coloured carp). Koi may reach a length of 120cm and weight of 15 kilogram or more and its live spans of 30 years or more. Colour of Koi may linked to size and age of the fish, the largest or the mature fish are invariably of the most well established colour. The company has been involved and one of the biggest breeder of Koi (Nishiki-goi) in Malaysia since 1970. 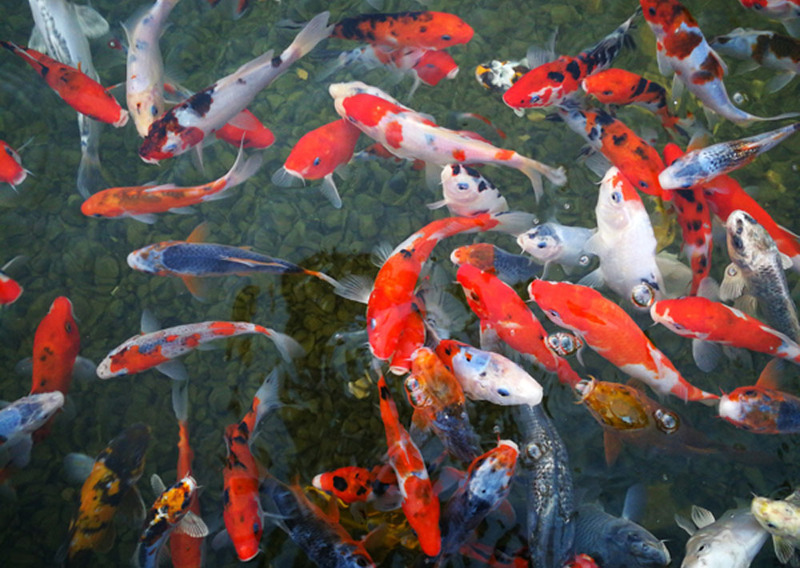 The commercial breeding of Koi (Nishiki-goi) in Malaysia is one of the world's largest producer and export. Koi are breed on a commercial scale in many countries, including Israel, Germany, China, Taiwan, Thailand, Indonesia, The USA, Great Britain, Italy and etc but the biggest producer remains the Japan. San Sui Trading Tropical Fish export tropical fish and coldwater fish mostly to Taiwan, Singapore, Australia, Europe, U.S.A. and others country. It concerns only Live tropical fish and coldwater fish of Malaysia Origin. © 2018 San Sui (Trading) Tropical Fish. All Rights Reserved. Designed by netbusiness.